‘Puya’ is the Puerto Rican term to describe the coffee beverage in its purest form. 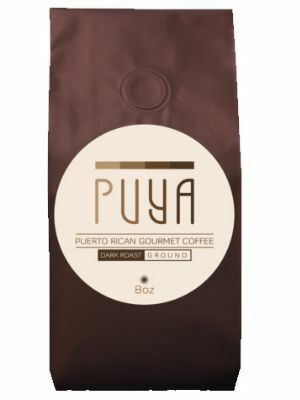 Puya Gourmet Coffee is harvested at Hacienda Los Eucaliptos at an altitude of 1,800 feet (548.6 meters) in the tropical mountains of the island of Puerto Rico in the Caribbean. It is 100% Arabica coffee, Handpicked, Masterfully selected and Roasted to perfection.